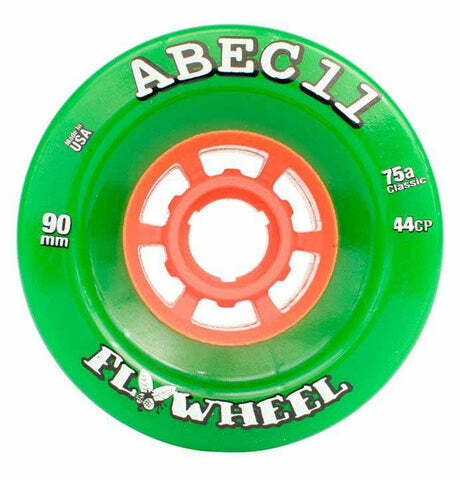 Click here to be notified by email when ABEC 11 Flywheels 90mm becomes available. 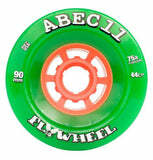 Abec11's 90mm Flywheel won World Cups in the era of 2005-2006 and were frequently used by Tom Edstrand, then IGSA World Champion. The 90mm Flywheels are big and well balanced to roll over the worst of pavement and maintain a lot of roll speed. Some riders choose this wheel for long distance skating as well because of how much momentum it can carry. 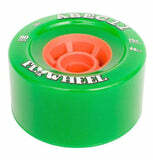 The Flywheel in this size is also awesome for Electric Longboards. If you've destroyed your wheels on your current e-board or you want to upgrade to some decent urethane, this is where it's at!